. إن الخدمات الممتازة وحسن الضيافة العالي في Wollongbar Motel تجعل إقامتك تجربة لا تنسى. يقدم الفندق واي فاي مجاني في جميع الغرف, خدمة التنظيف يوميًا, مجهز لذوي الإحتياجات الخاصة, مرافق مخصصة لذوي الاحتياجات الخاصة, تخزين الأمتعة لضمان الراحة القصوى لضيوفه. 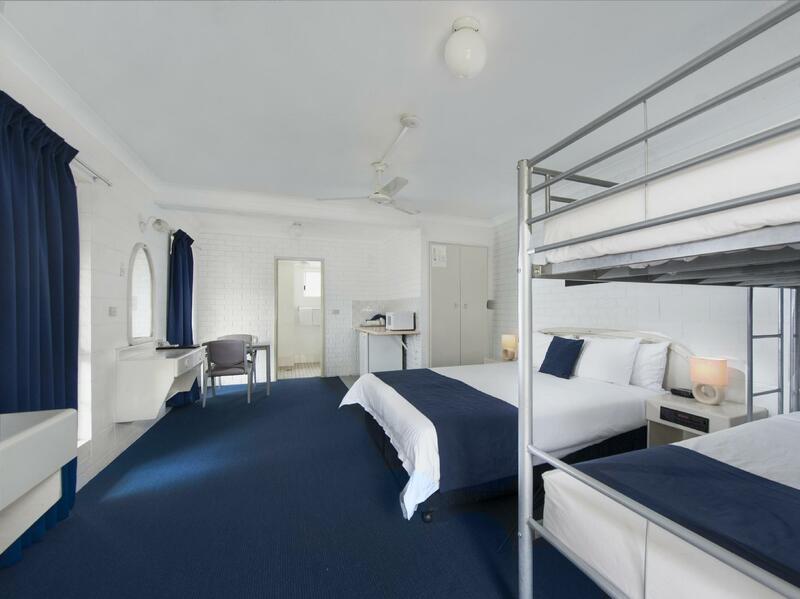 تنعكس أجواء Wollongbar Motel في غرف الضيوف.إغلاق, شاي مجاني, مناشف, سجاد, مرحاض إضافي هي بعض الميزات الموجود في العديد من الغرف. سواء كنت من محبي الرياضة أو كنت تتطلع لتفريغ عناء نهار صعب، ستجد خدمات ذات مستوى عالي بانتظارك كمثل مسار جولف - ضمن 3 كم, حمام سباحة خارجي, حديقة. إن كنت تتطلع إلى إقامة مريحة وهادئة في خليج بريون، فستجد في Wollongbar Motel بيتك الثاني. أجر إضافي يتراوح بين1.5% و 1.8% سينطبق عند استخدام بطاقة إئتمانية. لمزيد من التفاصيل برجاء التواصل مع العقار. My friend and I booked this on the day and were pleasantly surprised at how spacious the room was, how cheap it was and still up to standard. I would definitely stay there again. The beds were comfortable and like I said the rooms quite spacious and quiet. Great. When in Byron we always stay at Wollongbar as it a quick walk to everything, including a direct track to the beach. Staff are always helpful. Nice pool area and rooms are a good size. Family rooms have toys to entertain the little ones. Great offering, friendly staff, walking distance to town, clean and comfortable. My only grievance is the night light which is shining directly into your room and the curtains are not wide enough to stop the light in. Great location, 2 min walk to the Main Street. Top staff, friendly environment. Convenient parking. G'day Gruffudd, Very happy to hear all was well. Come back and see us again soon! Cheers, Andy. Wollongbar was a great place to stay while in Byron. Great location - very short walk to town and even shorter walk to the beach. Lots of parking. Room was spacious and very clean. Great amenities in the room and very friendly and helpful staff when checking in. Very pleased by our stay and would stay here agin in a heartbeat. An excellent facility, completed construction in 2016 and still looking as new as the day it was delivered! Receptionist is lovely, cheery and very accommodating! Ask her for tips on locations to visit. Free Wifi and parking is an excellent added service. Quiet place to stay. The room is old but it has all basic facilities such as hair dryer, kettle, fridge and microwave. Wifi is free but very slow. Less than 10 mins walk to the beach via private back door behind the pool. Shops and restaurants are also within walking distance. We got a big, airy room. There was a short path from the hotel to the beach and it was a few minutes walk to main shops and restaurants. 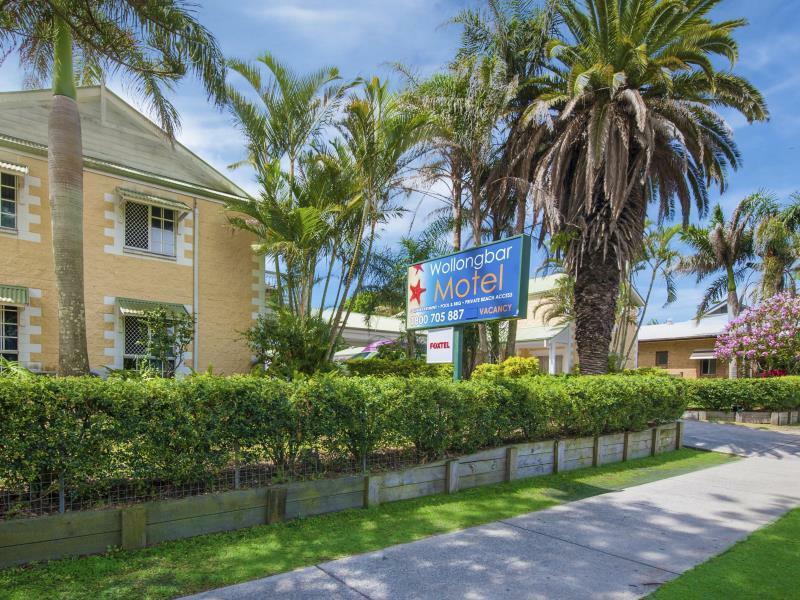 This hotel was perfect for our 3 day stay in Byron. We had been driving from Noosa to Sydney and had accidentally stayed at some real dives to try to save money. This hotel was super clean and the rooms were a nice size for a couple, without breaking the bank. We were a couple minutes walk to the main shopping/bars etc and there was even a private path to the beach. Exactly what we wanted. The only down point was there was no stove so we couldn't cook, but there was a fridge and a toaster, kettle etc. highly recommend this hotel if your looking for simple, clean and comfortable and convenient. 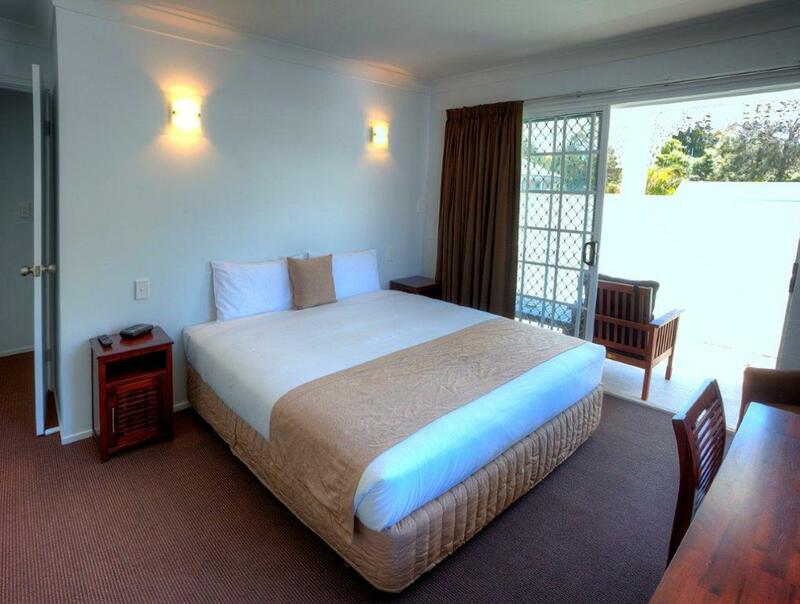 We enjoyed our stay at the Wollongbar Motel on the long weekend. The rooms were neat and tidy and looked freshly painted. The room was warm and comfy. 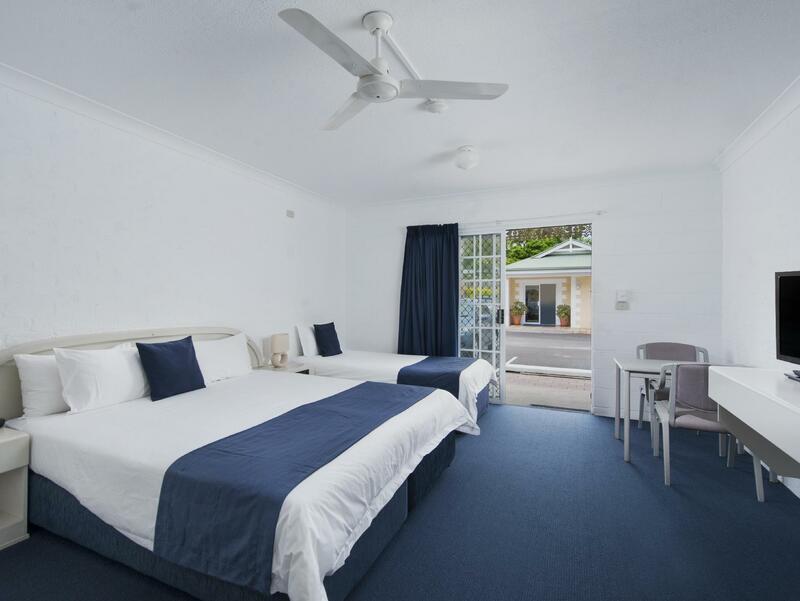 We enjoyed being in such a great location close to the beach and the centre of Byron Bay. It just a short walk to everywhere. The staff at the motel were always very friendly and helpful. We will stay again in the future and hopefully in better weather than last weekend. Our first stay for 2 days and we had a ball ...and we'll be back. The KID's and US had a ball ..."everything" within walking distance Motel nice and enjoyed the pool aswell. Easy to find on main road into Byron Bay. 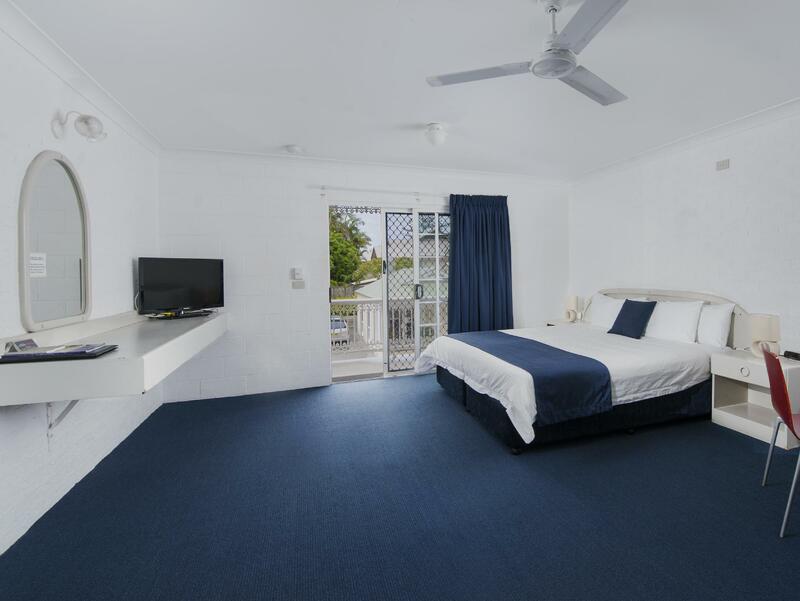 Convenient location close to beach and shops. clean and the bigger rooms have some kitchen facilities ie. microwave, crockery and cutlery. My daughter was impressed with the hot chocolate available in the room. Very helpful staff. Only drawback was no balcony or courtyard attached to our room so could not sit outside although there is a pool where we could do this and it is right on the beach just walk over the dunes. 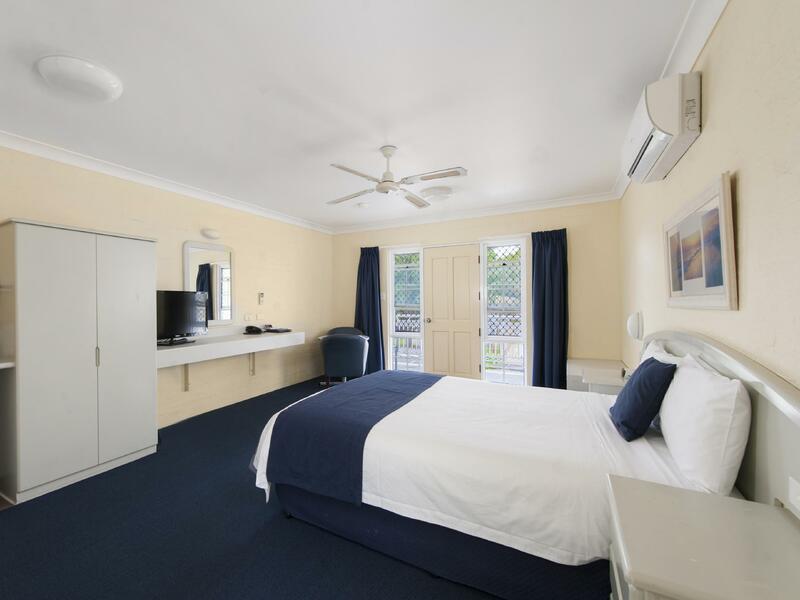 Overall very good value for money, rooms serviced daily. Clean, comfortable beds, quiet, good room service, helpful tips on sightseeing. Enjoyable two day stay at the hotel. The staff were pleasant and helpful. There was ample room for a couple and the showers and toilets were clean. The bed was comfortable and linen nicely presented. The hotel was only a 3 minute stroll into the town centre. For the price it is excellent value and we will be back on our next trip to Byron! Pretty comfortable bed, easy getting to city center and practically on the beach. Large room with solid kitchenette. Bathroom needed a modernization remodel. Easy parking. If you have so many outdoor activities to do and don't care much about where to sleep, here is a great choice for you! the Wollongbar Motel was very handy being so close to the CBD area. The facilities were good , but if you have dicky knees make your booking at the time for lower ground floor. G'day Susan, Lovely to meet you during the Christmas break and good to know you all enjoyed your stay. Agreed, some of the furniture in some of the rooms are a little dated, but for a 3.5 star motel, right in the heart of town and so close to the beach...we only replace things when we have to in order to keep our rates down for guests. It's all still comfortable thankfully. Safe travels out there. Andy.